The Richard Harris International Film Festival has announced an evening of short film in association with Limerick City & County Council. 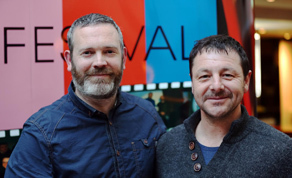 The evening which will showcase a number of selected short films made in Ireland is set to take place at the University Concert Hall in Limerick. The screening takes place on Monday, February 26th with tickets available online or at box office. The Secret Market was recently IFTA nominated for the ‘Best Short Live Action’ category. A woman is haunted by a dark watcher, a man obsessed with thoughts of her vicious murder; but as the fateful hour draws near brutal events unfold to reveal truths they could never imagine. Nothing on the brutal rugby league field frightens Duffy, but the demons off it are destroying his once promising future. To save himself, he must confront the one incident in his life that has always haunted him. Inspired by a true story, Sean races against the clock to his mother’s death bed while dealing with inter-family politics over the phone.